TEMPTING TERRACE! This modern mid terrace house offers three bedrooms and a bathroom off the first floor landing. With a spacious kitchen dining room, ground floor WC, parking and an enclosed rear garden this is a family sized home in a cul de sac location, located in popular NR3. CALL NOW TO VIEW! 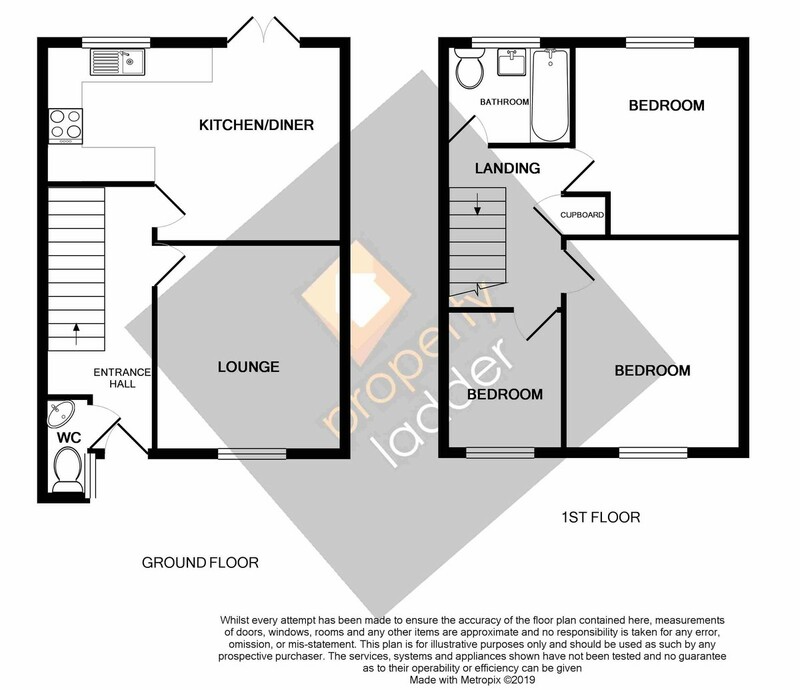 Outside Off road parking to front with enclosed rear garden which is laid to lawn and patio. Directions Leave Norwich City Centre heading East over St Crispins flyover, turn left onto Silver Road then right onto Mousehold Avenue, turn left onto Gertrude Road following around and Maltby Court can be found on the left hand side. The property can be identified by our propertyladder for sale board. The property situated on the edge of the city centre. Norwich City centre is close by with its vibrant business and arts community and also the regional shopping centre. The prominent market stands in the centre of the city, nearly in the shadow of the castle, and nearby is the library which is in the Forum. Norwich Cathedral is situated in The Close on the edge of the river and there is a wide variety of bars, restaurants and leisure pursuits available within the city and a number of schools in both the state and private sector. 1. They are not authorised to make or give any representations or warranties in relation to the property either here or elsewhere, either on their own behalf or on behalf of their client or otherwise. They assume no responsibility for any statement that may be made in these particulars. These particulars do not form part of any offer or contract and must not be relied upon as statements or representations of fact. 2. Any areas, measurements or distances are approximate. The text, photographs and plans are for guidance only and are not necessarily comprehensive. It should not be assumed that the property has all necessary planning, building regulation or other consents and Property Ladder have not tested any services, equipment or facilities. Purchasers must satisfy themselves by inspection or otherwise.